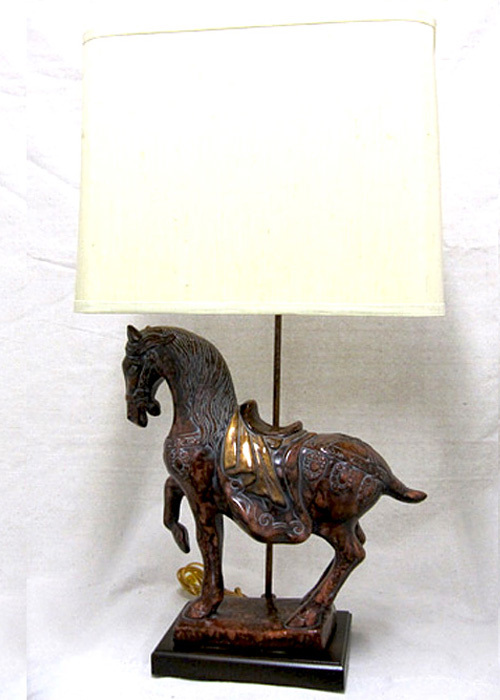 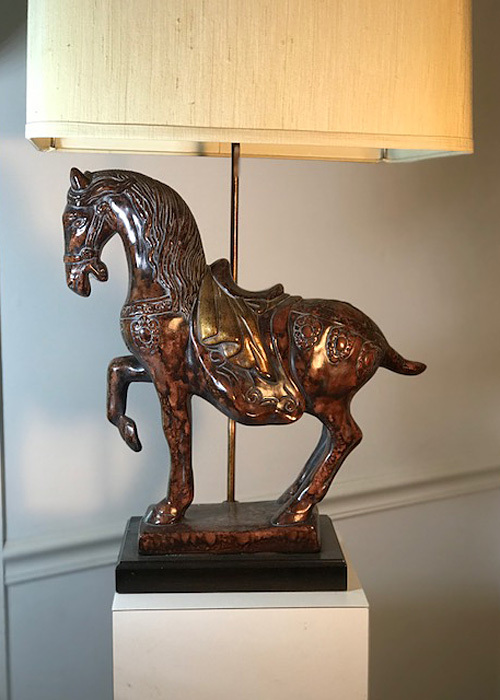 Large cast figural Tang Horse lamp with a beautifully rendered finish. 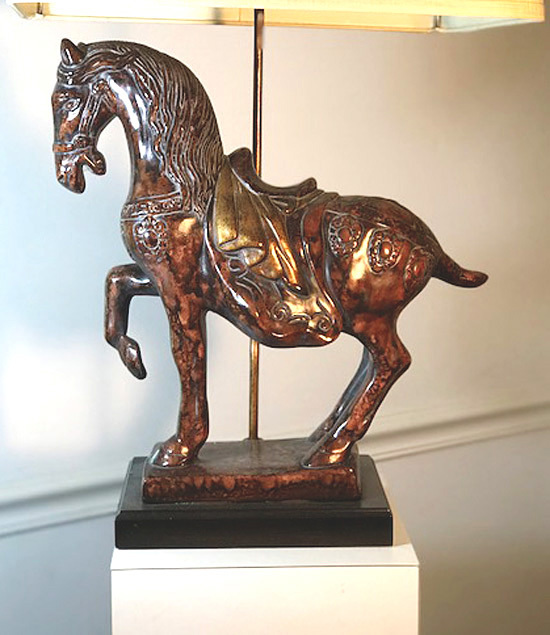 Mounted on a wooden base. 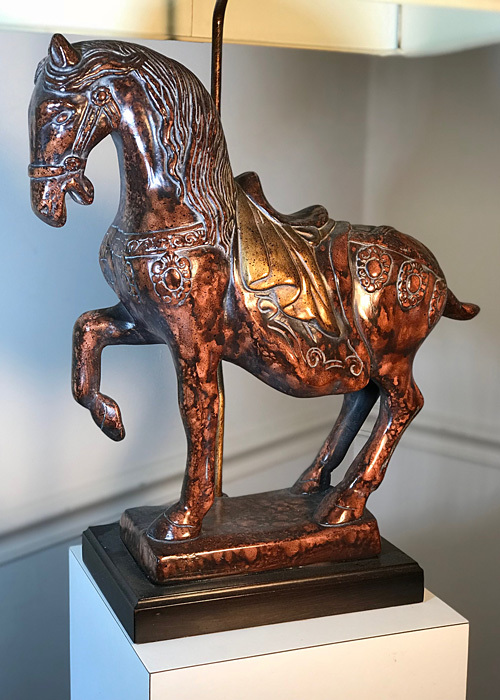 Ceramic Figure alone measures 17.5 x 16 x 6.